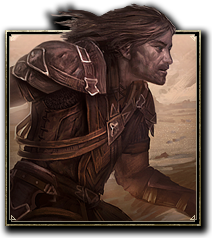 The racial skills of the Bretons reflect their affinity for the arcane, giving them bonuses to magicka, magicka recovery, light armor, alliance point gain, and spell resistance. Opportunist 1 ​ Increases your experience gain with the Light Armor skill line by 15%. Increases your Alliance Points gained by 1%. Gift of Magnus 5 Increases your Max Magicka by 600. 15 Increases your Max Magicka by 1200. 30 Increases your Max Magicka by 2000. Spell Attunement 10 Increases your Spell Resistance by 660. While you are afflicted with Burning, Chilled, or Concussed, this effect is doubled. Increases your Magicka Recovery by 33. 20 Increases your Spell Resistance by 1320. While you are afflicted with Burning, Chilled, or Concussed, this effect is doubled. Increases your Magicka Recovery by 66. 40 Increases your Spell Resistance by 2310. While you are afflicted with Burning, Chilled, or Concussed, this effect is doubled. Increases your Magicka Recovery by 100. Magicka Mastery 25 Reduces the Magicka cost of your abilities by 2%. 35 Reduces the Magicka cost of your abilities by 4%. 50 Reduces the Magicka cost of your abilities by 7%. This page was last modified on 2 March 2019, at 22:25.